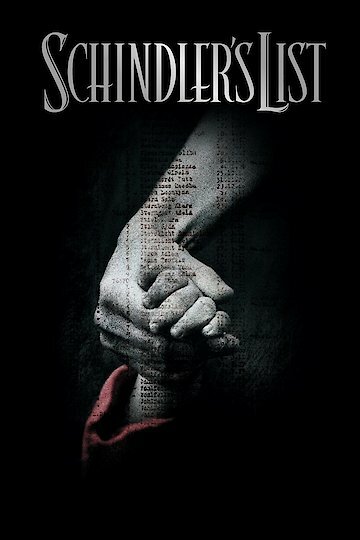 Schindler's List is a drama based on real life events that occurred during the holocaust of World War II. The movie is based on the book Shindler's Ark by Thomas Kineally and was directed by Steven Spielberg for Amblin Entertainment and Universal Pictures; although produced in 1993 the film was shot in black and white to add to the realism and sense of history surrounding the events in Nazi occupied Poland. The film tells the story of Oskar Schindler, a Nazi sympathizer who deals in the black market during World War II for financial gain and increased power. Irish actor Liam Neeson portrays Schindler despite not being a movie star at the time of shooting; other more established movie stars were auditioned for the role, but Neeson was deemed right for the role. Throughout Schindler's List the character of Schindler mixes with the worst of the Nazi officers in the area in an attempt to curry favor and gain influence; the worst of these officers is Amon Goeth who is responsible for building and leading the Ptaszow concentration and death camp. Goeth, played by Ralph Fiennes becomes increasingly more sadistic in his treatment of the Jewish and other prisoners in his camp; going so far as to shoot prisoners in the camp from long range as they walk around the area. Schindler witnesses the clearing of the ghetto and the treatment of the Jewish prisoners in the concentration camp and slowly moves to loathing the German officers who allow him to conduct business. Itzhak Stern, played by Ben Kingsley runs the factory Schindler establishes to produce German Army mess kits and slowly brings in workers from the concentration camp to save them from death in the gas chambers. The list of workers grows throughout the film as Stern and Schindler begin to work together to bring as many workers into the factory as possible; the large number of workers makes Goeth suspicious and brings Schindler under investigation at various times. After saving a large number of prisoners form the camp Schindler is forced to flee the oncoming Societ Army because he is classed as a Nazi sympathizer; the Jewish prisoners from the concentration camp provide a letter stating Schindler helped them and should be free from prosecution. At the 1993 Academy Awards Schindler's List won seven of the 12 Oscar's it was nominated for, including best picture, director and screenplay. Critical response to the movie was excellent as survivors of the Holocaust praised the film for its realism. Schindler's List is currently available to watch and stream, download, buy on demand at Netflix, Amazon, Vudu, Google Play, FandangoNow, iTunes, YouTube VOD online.